Sekiro Shadows Die Twice Critics Review Round Up! Sekiro plays differently than previous works. In addition to mastering a new style of fierce and unforgiving combat, you also have to start thinking like a ninja, using every tool in your arsenal to tip the scales against opponents with tricky movesets and multiple phases. Despite having no traditional level-ups, you have many ways to advance your character by finding items in the world, acquiring new skills, and discovering vendors. 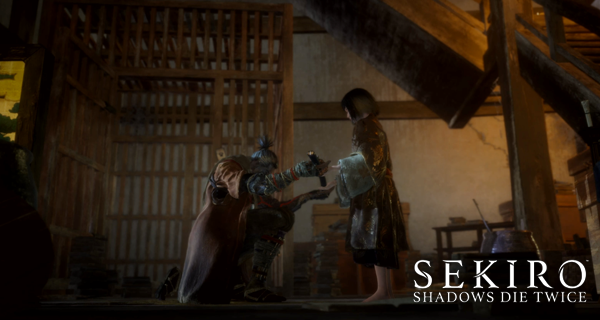 Sekiro pushes these demands further than Dark Souls and Bloodborne ever did. Over the years, From Software fans have become accustomed to the language of Soulsborne games; we recognise scenarios and are wise to the tricks, we can identify viable strategies more quickly, and since the skills are transferable, we can execute these strategies with a measure of confidence. But Sekiro challenges this expertise. It invites you to try and then shows you how little you’re actually capable of. Sekiro is affirmation that From Software hasn’t lost its bite; that its games can make you feel vulnerable and strike fear in a way few others can. It’s a heart-pounding, palm-sweating, and nerve-wracking gameplay experience that instills tension the likes of which I haven’t felt since first playing Demon’s Souls. And there you have it! The game is different from Dark Souls and Bloodborne but is still amazing in its own right. The game was also able to get near perfect scores from the critics, which says a lot about the game. The overview trailer has been revealed by FromSoftware for Sekiro Shadows Die Twice. Get to watch that here!